Women are setting records, making history and winning elections. Is it our year? This election season is breaking records with 53 women who have filed to run for Senate — 13 more than the record set in 2016 — and 476 women who have filed to run for the House of Representatives — 178 more than the 2012 record — according to the Center for American Women and Politics. Women currently comprise 23 percent of the Senate with 23 female Senators and 19 percent of the House with 84 female Representatives. Sixty-one women are running in gubernatorial races and 64 women are running for lieutenant governor, both numbers breaking records set in 1994. 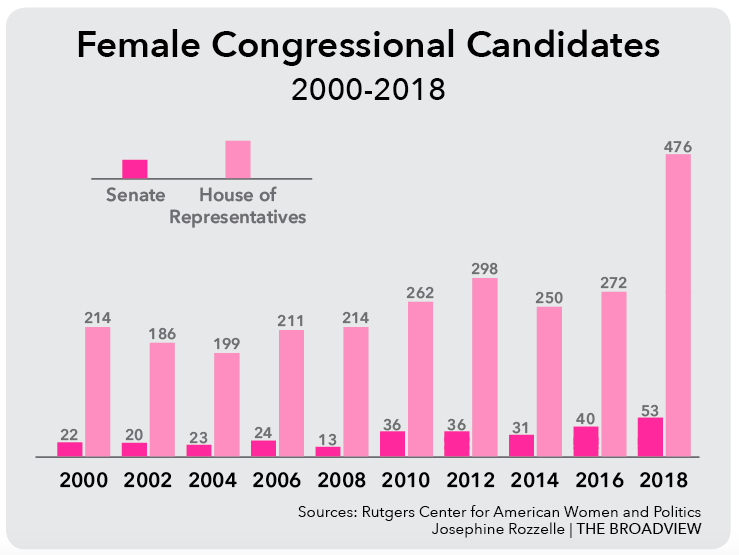 This year’s unprecedented number of female candidates is reminiscent of the elections of 1992, also dubbed the Year of the Woman, when what was then a historic number of females ran for office. Eleven women ran for Senate and 106 women ran for seats in the House, according to the Office of Art & Archives of the United States House of Representatives. Presidential Candidate Hillary Clinton’s 2016 defeat spurred the increased number of female candidates running for office, Aure said. “When Hillary Clinton lost the presidential election in 2016, it really fired a lot of women — especially young women — up because it pointed out the fact that there needs to be change,” Aure said. Senior Caroline Schulberg, club head of EmpowHER, cites a changing, encouraging environment as the cause of the influx of female candidates. Of the 53 who filed to run for Senate, 23 are still in the running after the primaries with 239 of the 476 original House candidates still in the race, according to CAWP. No matter the outcome of the elections, however, Aure says the number of female candidates is an important step in the right direction. Even when not running for office, women increasingly support each other and female candidates, according to Schulberg. The midterm elections will be held on November 6. The number of female candidates that will be on the ballot is a statement to the world, says Schulberg. 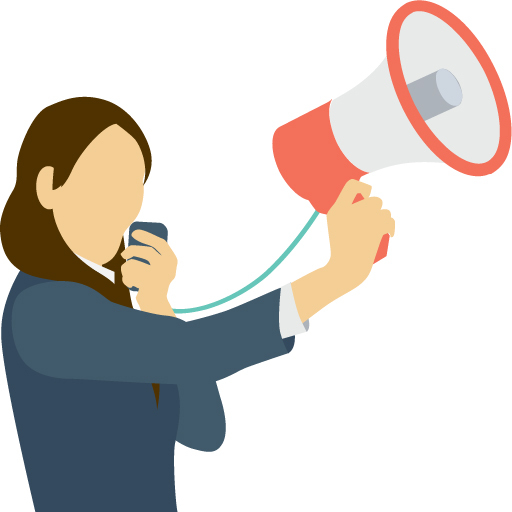 Although students under 18 years of age are unable to vote in the November midterm, there are other ways teens and non-citizens can get involved in political races. Slacik first began working for campaigns in high school and has continued into college. She is currently volunteering for Buffy Wicks who is running to represent the East Bay District 15 in the State Assembly. Junior Isabelle Paul volunteered for Hillary Clinton’s 2016 presidential campaign, where she sent text messages to voters in smaller counties in swing states, reminding them to vote and helped citizens register to vote. Paul is currently volunteering for Suzy Loftus’s 2018 campaign for San Francisco District Attorney. Similar to Slacik and Paul, senior Isabella Bermejo wanted to gain experience by helping with a local campaign and is currently volunteering for lieutenant governor candidate Eleni Kounalakis. Slacik says she likes the fast-pace and dynamics of working on a campaign.